A few of you have noticed my picture and winning recipe in April's Better Homes and Gardens. Thank you so much for your kind comments. The honest to goodness truth is that I lose far more recipe contests than I win. I'm always very honored to be a finalist, a runner up, a red ribbon girl, an also ran. There's some stiff and impressive competition out there. But once in a while, I take home the prize. And that makes me smile and blush for a minute or two. I think you'll really love this recipe. It's cheap and easy, and it's just about time to fire up your grills, anyway. If you're looking for something a little non-traditional for Easter, this would be grand, although I'd leave out the grilled peaches until they're in season. I also did a little Q and A about cooking with Better Homes and Gardens. If you're interested, follow this link. 1. Place pork chops in large plastic bag set in deep bowl. For bring, in small bowl combine water, salt, sugar, and 2 tsp. vanilla. Stir until salt and sugar are dissolved. Add to chops in bag. Seal bag; turn to coat. Refrigerated 6 to 24 hours. 2. In large bowl combine cabbage, green onion, raisins, snipped cilantro, and jalapeño pepper. In small bowl whisk together lime juice, 3 Tbsp. olive oil, and the honey. Add to cabbage mixture; toss to coat. Cover and chill 30 minutes before serving. 3. Pat brown sugar onto cut sides of peach halves. Drizzle with 1 Tbsp. olive oil. In small bowl combine preserves, mustard, and 1/2 tsp. vanilla. Drain chops, discarding brine. Pat chops dry with paper towels. Spread preserves mixture on both sides of chops. 5. 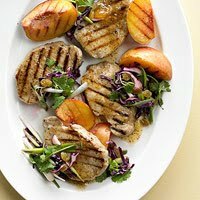 Serve chops with slaw and sliced peaches. Garnish with cilantro sprigs. Makes 4 servings. 6. *Hot chile peppers contain volatile oils. Avoid direct contact and wear plastic or rubber gloves. If bare skin touches the chile peppers, wash well with soap and water. And if you haven't had enough, here's a quick new video from the French's Cook-off last month. UP NEXT: I finally perfected my pound cake, after dozens of attempts. It is soooo unbelievably yummy. I'm waiting till I have 400 followers to post. 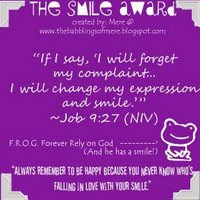 (A little incentive to sign up today!) In the meantime, I'm hoping to post some chocolate covered fudge Easter Eggs. I'm so busy I could skip a night's sleep and still be buried, so wish me luck! You little smartie pants. No, I guess you would be you little-chef's-hat-smartie pants. I am SO impressed. And it looks and sounds delicious. Wow, I've never even known anyone who entered a contest! Good for you. Congrats! 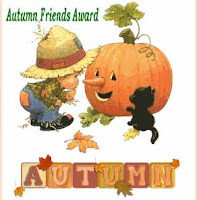 Hope you won a fabulous prize :) Can't wait until peaches are in season here. Congrats on another big win! I read your interview and now I want to know how to make homemade bagels and tortillas. I have had zero success with tortillas and warm tortillas are my favorite. Also, that picture on the interview is gorgeous! Good going. At least you are entering which you have to enter to win! My bagels and tortillas aren't always pretty, but they are yummy. I'll have to get a tutorial going soon. Thanks for the congrats! You are amazing!! I'm follower # 371!! Woo hoo!! You have to email me. I don't even know anything about your new baby. Pink? Blue? How are you? Congratulations! I loved the interview. The recipe looks great and you look beautiful! What a great picture! great interview. What a cool magazine to be featured in. I love BHG. In teh interview you said you make ketchup I wsa just htinking htis morning that i want to try doing that. Would you mind sharing how you do that? Sorry about all the typos. I'm not paying attention this morning I guess! I'd love to share how to make ketchup. I usually wait till the summertime when you get some nice fat red fresh tomatoes for pennies. I'll plan on sharing in August. That's amazing - congrats!! They look very tasty and I enjoyed the interview too! What happened to the Lemon Tea Cake that was supposed to be up next? :( I've been waiting since I'm hosting a baby shower in 2 weeks & that would be perfect!! Congrats on winning & being featured! Can't wait for the pound cake recipe either!! :) I need that one for my petit fours! and I'll send you the recipe. I didn't end up making it since I had a sudden urge to tweak my pound cake. The lemon tea cake would be perfect for a baby shower, so I really want to send that to you! i just sent another tweet telling everyone to follow your blog. 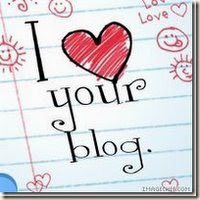 we really need to get you on twitter because more people need to know about this fabulous little blog. i guess i would have to actually open my better homes and gardens to see that you have a recipe there this month:). it's still in its plastic waiting for me to have time. 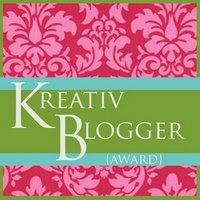 Hey Prudy, I am a new "Follower", but have been following your blog for a while - LOVE IT! You really seem to just know what is delicious and do-able for a mom on a budget that likes food! I always check your blog when I have a new idea for dinner and find something to guide me. Thanks and congrats on the win! Congrats! Have a wonderful Easter! Mindy W, Welcome! Thanks for your kind words.